DJ FLY discovered turntables and started scratching at the age of 15, in 1998. An after-school hobby, it quickly turned into a real passion and ultimately his profession. His weapon of choice? Numark's TTXUSB turntable. 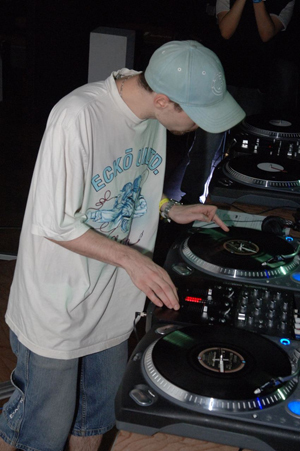 Influenced primarily by Hip Hop, with an affinity for Rock, and Electro, DJ FLY's original sets smoothly integrate combine tracks from artists such as "Busta Rhymes" to "Chase And Status". 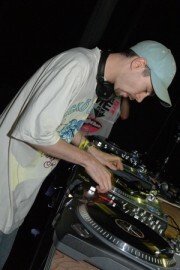 A native of Lyon France, DJ FLY started in clubs in the Rhône-Alpes. He enjoyed huge success with the public early in his career and his following grew in numbers each week. His technical ease behind turntables and his communicative energy always move everyone to the dance floor. DJ Fly's talent took him beyond the borders of his hometown : DJ FLY soon conquered France and destinations abroad as he met with the same success on tour. He appears in events that attract large crowds as: L’Original Festival (Lyon), Les Nuits Sonores (Lyon), NRJ Tour (Tahiti)... He also performs in Asia (Shanghaï, Hong Kong, Shenzhen, Macau…), Tunisia, Spain, Portugal and in cities like Paris, London, Brussels and Dubaï. Attracted by scratching since its inception with turntables, as a reference DJ Qbert or D-styles, DJ FLY launched a serious run at notariety and made his entry into the DJ competitions in 2004, winning 6 DMC France cups, a title of France DMC Champion, a bronze medal at the DMC World Championship in 2007 and finally the title of DMC World Champion in 2008! In 2004, always looking for new projects, DJ FLY worked with the label "Enterprise" which was awarded a double gold production on the Sinik’s first album and platinum on the second one. 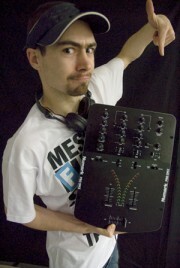 In 2009 he became a true beatmaker making his own Hip Hop and Dubstep productions. DJ Fly is one of the creator of the "Scratch Bandits Crew", a group of DJs from Lyon, using scratch as a rhythmic and harmonic way to recreate original compositions like a real group of musicians. He is now a teacher at the most famous DJ school in France : UCPA-AMS. "“Competition is fierce. If you want to win, you can't go wrong with Numark.”"